Witnesses or anyone with information about this incident is asked to contact police on 101 or Crimestoppers anonymously on 0800 555111. Thieves stole jewellery from a Northamptonshire house after forcing open a window. 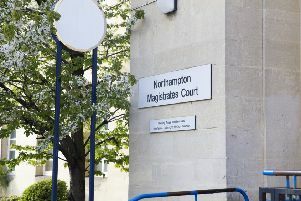 The incident took place at a property in Castle Street, Wellingborough, at some point between 9.30am on Saturday, May 7, and 4pm on Friday, May 13. The offenders forced open a window and searched the premises, before stealing jewellery and making off from the back of the house. They would particularly like to speak to a man who was seen in the area. He was a white man in his 30s, with a Mohican type haircut, and was sat on the corner of the street.